Project Type: Business Hosting, Featured, Photography, Web Design. Industry: Consumer Products & Services. A small, brochure-ware website for a startup Burlington Taekwondo school, destined to make a difference in local Martial Arts and beyond. 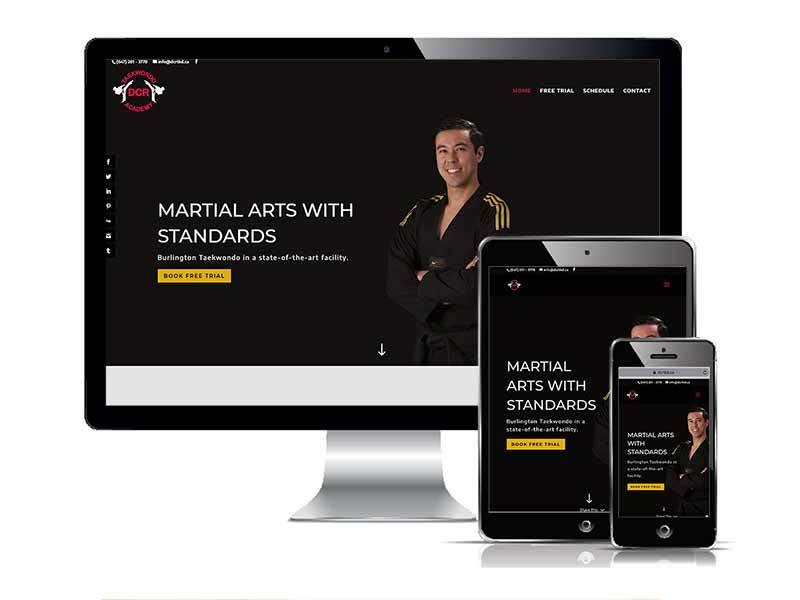 With more than 15 years of martial arts teaching experience Master Sasha reached out to us to develop a startup web presence for his new Martial Arts Burlington Taekwondo Academy. Notwithstanding the small size of the startup website, the objective was nonetheless to develop a solid online strategy for the startup business with room to grow. Not a stranger to startups, Al Poullis of COMMbits, a martial artist himself, helped build and execute the initial online strategy for the new client. The project included custom business photography, creative design and digital assets editing, web development, tag line and copy authoring. The cornerstone of this initial development effort was the unique COMMbits “Sales Funnel” strategy that is designed to lead and guide online visitors to the site’s Call-To-Action (CTA) assets. We carefully study online trends and psychographics, while also putting an emphasis on WordPress security and high performance of web assets. I had my website made by COMMbits. My customers and I are blown away by it!